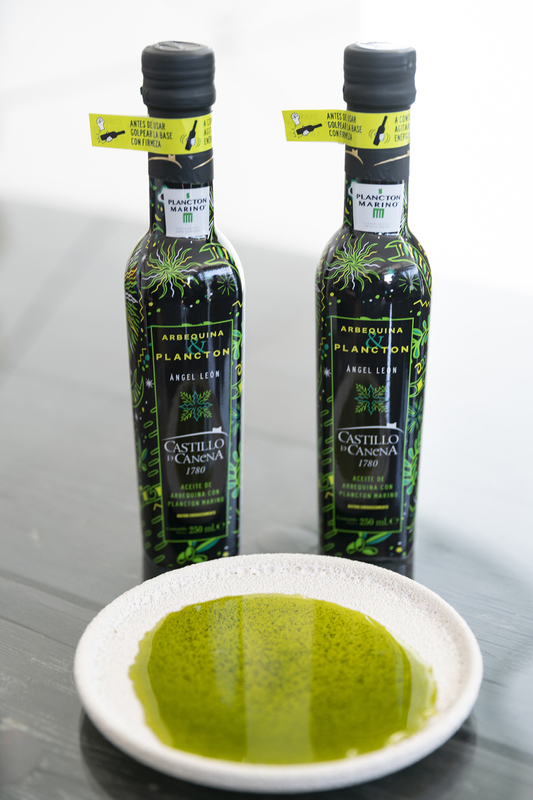 With a focus on innovation and developing new oils of the highest quality and levels of excellence, Castillo de Canena presents Arbequina & Plankton, an extra virgin olive oil infused with marine phytoplankton. 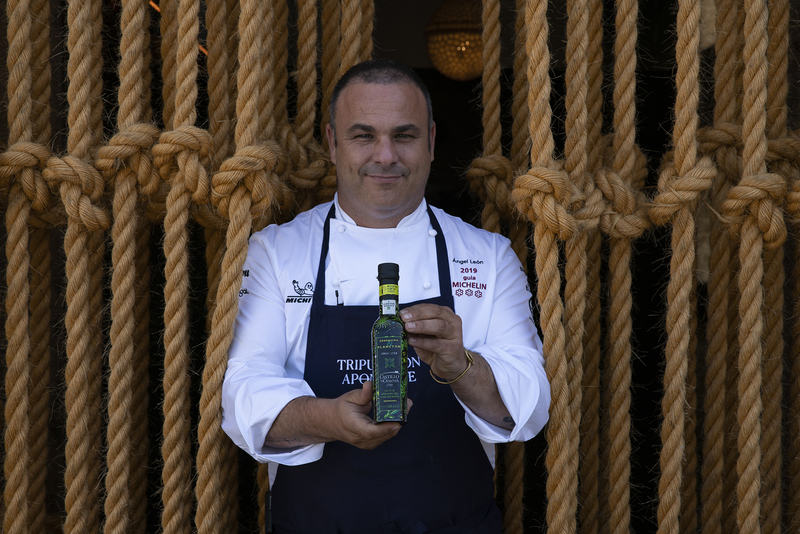 A world first, it has a pronounced aroma and a bold taste of the sea, and is combined – in a way that surprises – with the green, fruitiness of fresh olive juice. This new oil – 100% natural and vegan because plankton is plant and not animal based – offers a different and unlimited world of gastronomic and culinary possibilities. An incredible experience which immerses you in a sea that is both fresh and pronounced. 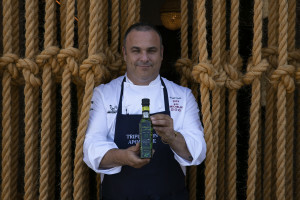 ‘Arbequina & Plankton is an extraordinarily original extra virgin olive oil offering briny flavours of the sea together with the freshness of our oil, allowing very healthy dishes to be prepared thanks to the extremely nutritious and antioxidant-laden combination of oil and plankton,’ explains Francisco Vañó, General Manager of Castillo de Canena. This exceptional product has beneficial properties that are vital for our organisms. The most powerful antioxidant known to date – superoxide dismutase, that is responsible for neutralising the free radicals which damage our cells – joins the antioxidants already present in extra virgin olive oil (polyphenols, vitamin E and Omega-3 and Omega-6 fatty acids). In addition, it also contains other essential minerals – iron, calcium, phosphorus, magnesium and potassium – and vitamins B12 and C, making it an extraordinary product from a nutritional point of view. Microalgae that make up phytoplankton were some of the first organisms to inhabit our planet, enriching our atmosphere with oxygen. Today, they are responsible for producing 50% of the world’s oxygen and are the starting point of the food chain in our oceans, feeding the zooplankton which in turn is food for fish and crustaceans. Phytoplankton is, therefore, the origin of the food chain; in other words, it forms the base of the aquatic food web. It is what allows all the seas and oceans of our planet to exist, not to mention the concentration of oxygen in the atmosphere. With this in mind, the company Plankton Marino has managed to recreate the conditions found in the Doñana National Park – specifically, on the Veta La Palma Farm – in order to grow marine microalgae, creating a ‘marine vegetable garden’ where plankton is cultivated. 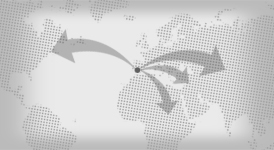 A new food – a novel food – approved by the European Union for human consumption. 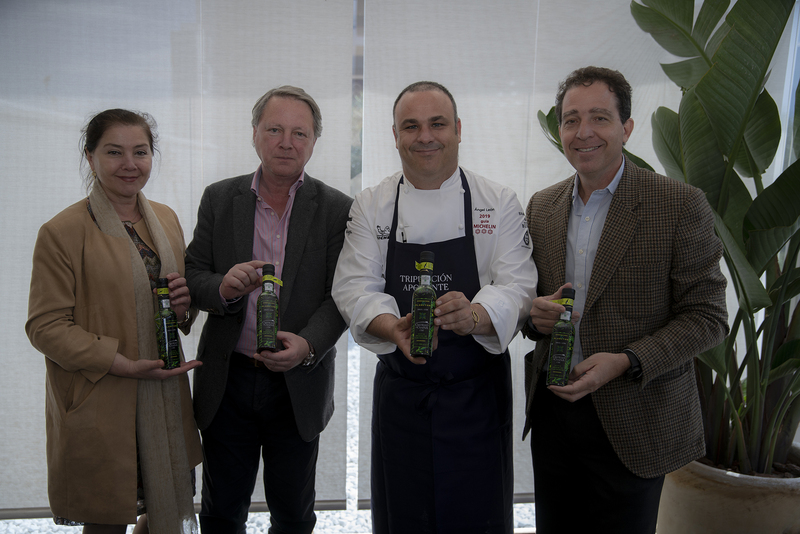 In line with his innovative cuisine that revolves exclusively around the sea, Ángel León, the esteemed chef from Cádiz who has three Michelin stars, has taken part in the creation of this unique Arbequina & Plankton oil. In addition to numerous awards and personal recognition, his restaurant, Aponiente (in El Puerto de Santa María, Cádiz), was chosen by The New York Times as one of the best restaurants in the world, and the Wall Street Journal included it among the ten best restaurants in Europe. 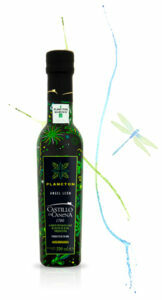 The new Arbequina & Plankton oil is a bright and intense green colour with plankton in suspension. Its main sensory expression is of the sea, although other unique and surprising sensations are also evident as a consequence of combining this marine ingredient with the juice of fresh olives, offering green, fruity notes that positively enhance the seaweed-green, the brininess and the pronounced flavour of crustaceans. It is a very fresh and elegant oil with a good balance of mild bitterness and piquancy that quickly disappear. The mouthfeel is very sweet and is balanced by the saline notes of the sea. Arbequina & Plankton is perfect for rice and seafood dishes, with char-grilled fish, pasta, fish tartares and ceviches. It is also an oil that is most suitable for preparing mayonnaise and vinaigrettes. The sleeve that completely surrounds the bottle of this new oil evokes the microorganisms that make up phytoplankton and the characteristic green colour of the product. ‘The design of this unique oil was inspired by the sea, by the plankton itself and its magical, luminescent and whimsical shapes. If we could immerse ourselves in marine microalgae, we would swim in the image of Arbequina & Plankton. Like a quick dip of flavour and naturalness, condensing the origins of life in a bottle,’ affirms Rosa Vañó, Sales and Marketing Director of Castillo de Canena. 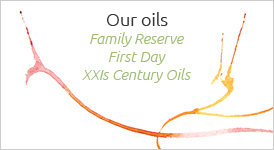 21st-Century Oils represents a line which seeks to offer different concepts and new ideas to a category of products embodying over 3,000 years of history. It is thus an exceptional sensory experience for your palate, allowing you to enjoy and delight in innovative oils which will surprise you thanks to their originality, distinctness, and because they offer the highest standards of quality. 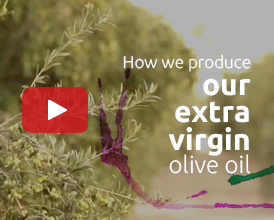 Following the first oil Early Royal, the second one, called Horizontal Tasting, was presented (the same varietal – Arbequina – from olives harvested during three consecutive months: October, November and December). Next came the third, Oak-Smoked Arbequina Oil. Then, Biodynamic Picual and Biodynamic Arbequina. And lastly, Arbequina & Harissa.